The dormitory is for women only on this retreat. It has been designed to accommodate up to 8 people in a shared bedroom and bathroom facility. 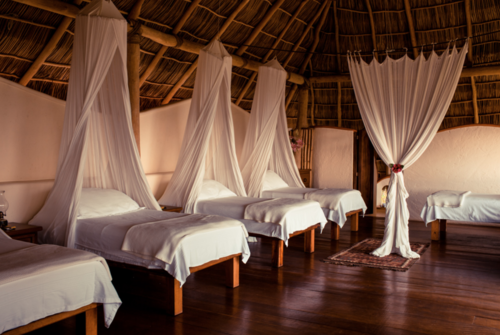 You will enjoy the same features of cabañas but in a large open room with individual beds for each person. There is daily housekeeping service for both the cabañas and the dormitory and every detail is attended to right down to the fresh flowers.